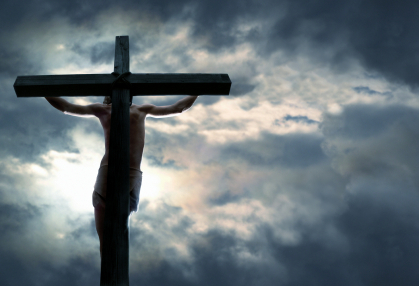 The season of Lent comes to its climax this coming week as Christians around the world observe Holy Week, commemorating the events that were the culmination of Jesus’ earthly life, the effects of which are foundational to our Christian faith. 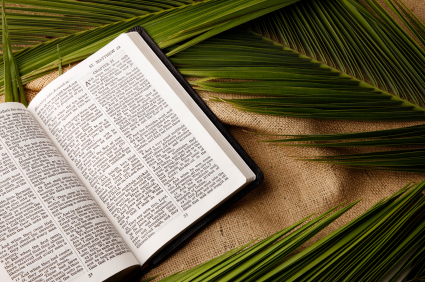 Palm Sunday can be so much more than an opportunity to involve children and foliage in the worship service. Robert Webber had a wonderful way of bringing attention to the spirituality of specified times in the church year, and I believe the season of Lent leading to Holy Week leading to the Great Triduum were richest of all in his explanations and exuberance. And rightly so. In usual Webber fashion he was able to articulate in a succinct manner the epic themes in the Christian year in his book, Ancient-Future Time: Forming Spirituality through the Christian Year. 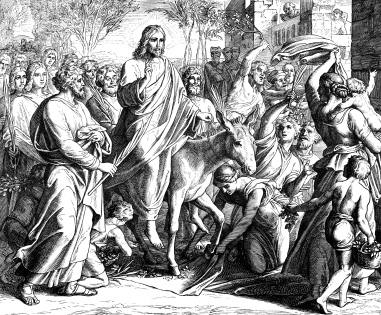 Perhaps you, like I will be made spiritually better prepared to lead and/or participate in Palm Sunday by considering these spiritual connections and reflections on biblical description of what is happening in the Triumphal Entry into Jerusalem. My prayer in sharing these reflections is that you might find something that will help you lead others to worship in awareness of the meaning of this special day that begins a hallowed week. Just as Jesus entered into the gates of the city of Jersusalem to face the culmination of his earthly life and ministry, you and I enter into the remembrance of these things and face those distractions that get in the way of our spiritual well-being and fervency in our walk with Christ. As Jesus faced the dramatic change in how people viewed him, from cries of “Blessed is He!” to “Crucify Him!” we enter that gate with him, and our spiritual lives are being “ordered into the most sacred moments of the history of the world and we face our own experience with the meaning of human existence.” (Webber) What will take priority, man’s praise or God’s way of humility? Even though we may have answered this question already as believers, we can re-examine our answer as we hear the crowd ask aloud, “Who is this?” In public worship we are certainly looking to answer this question and proclaim that answer as witness to those who may not know the truth of the Gospel. In whatever way we will observe Holy Week we can call one another to live lives that look past the momentary festivities to the way of the cross, knowing that it is the way of life and peace, and giving thanks for the hope of the glorious resurrection to come and the ascension that places our High Priest at the right hand of the Father making intercession for us. As we sing the Loud Hosannas of Palm Sunday and many of us turn quickly to the somber tones of the cross, may we serve as true worship leaders by inviting our brothers and sisters to the spirituality of Holy Week, not as a cultural observance of a time of year preparing to dawn our new Easter Sunday duds, but as a time of spiritual journey in which we are refreshed through the Gospel miracle of dying to self and being raised to walk in the new life of the resurrected Christ. The Book of Common Prayer, 272. As noted previously and often, many if not most of our evangelical worship controversies center around style before substance. Our obsession tends to show more interest in mood than form. These are reversed priorities. While such inverted priorities are usually argued by virtue of contextual evangelism (“People like this kind of music better and listen to it on the radio” vs. “This music sounds like a church and that’s what people expect and need to hear in church worship”), such discussions are often just smokescreen for personal preference or lack of creative application on the part of leaders and/or a reaction to strong personalities in the church demanding their way. Until Pastors and Worship Ministers engage church leadership in the priority discussions of Christ-centered, Gospel-proclaiming worship, we will likely continue to observe worship steeped in strategic efforts of humans that otherwise lacks the inbreathed power of the Holy Spirit. Our gathered worship must reflect our mission! “God calls us to minister the gospel. Worship is to be an intentional expression of this biblical purpose.” Lest we misunderstand, Christ-centered worship does not mean “evangelistic” as some would think yet again of evangelistic as indicating a particular style. It is crucial for leaders and believers to begin to more fully understand that nothing is ever as powerfully intentional in Gospel mission as lifting up Christ, and this is to be the central purpose in our worship. The controlling point of worship begs questions such as, “Does this act, word, or song honor and reflect the character of Christ?” “Are we telling the God-story through our worship?” It also behooves us to remember that God’s provision of grace is as vital for daily Christian living as it is for conversion. A clear aspect of this grace provision involves our (believers) awareness of serving those in need outside and inside our fellowship through our given ministry of reconciliation. “As our worship resonates with the message of his love for us, our hearts resonate with love for him and his purposes.” The Gospel-shape of such worship sends us out with an awareness of God’s mission to make known his Son to the world. Concern to see the power of God among his people will require that we abandon no essential of worship that declares his glory. If we do not understand his glory, then we cannot give him proper praise nor rightly humble ourselves before him. The truths of the progress of the gospel form the essential framework of our worship so that they shape the lives of the worshipers. We fail when we make our preferences rather than the Gospel our worship guide. James B. Torrence, Worship, Community and the Triune God of Grace (Downers Grove, IL: InterVarsity, 1996), 41. HOW WELL-BALANCED IS YOUR WORSHIP SONG DIET? For the last twenty years when church leaders have thought about balance in a congregation’s worship music diet they have thought almost exclusively about the “contemporary” – “traditional” issue. Style is certainly one contemplation, and not an unimportant one for the worship leader, but is far from the only one. 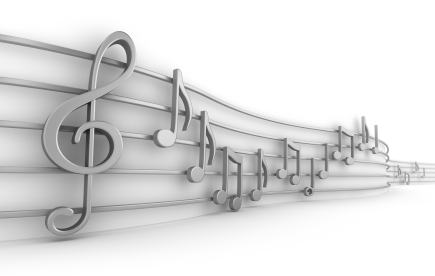 There are a myriad of considerations that enter in to selecting music materials for healthy Christian worship. Notice I said “healthy” Christian worship. There are many means of decision-making regarding this subject that can lead to unhealthy worship environments and practice. I have a friend and colleague whose doctoral study centered in evaluating worship. More specifically, it was a project in which he sought to aid churches in determining what variances exist between their embedded worship theology and their stated worship theology (written or otherwise voiced), assuming they had one (I fear many of our churches and leaders do not have a theology of worship at all, leaving them to drift by experiential practice or imitation of other churches). My own work in the area of the dynamics and effect of congregational worship singing on worship renewal was always in tension with other questions regarding ecclesiology (theology of church) and with the repertoire being sung in churches. No doubt all these issues and more form a matrix of critical concerns for the diligent worship ministry leader. Questions can be overwhelming as can the proliferation of possible “answers” which are offered by a plethora of sources from the blogosphere, books, popular and noted worship leaders, etc., etc. Gone, it seems, are the days of doing college, followed by seminary, and popping out the other side as a bona fide Minister of Music, ready to serve alongside a learned pastor with whom the struggle for answers could resume as a lifelong partnership and shared journey of learning. The emphasis upon encounter with God in the present has lead to songs that focus upon the worshipper and what is happening in the present moment. The ‘now’ of the worship song indicates the extent to which attention is directed to the present intimacy between the worshipper and their Lord. More traditional hymnody tends to offer a more objective emphasis on factual events in the life of Christ and the Gospel narratives as the focus for our worship and adoration. More contemporary desire to sing songs “to” rather than “about” God has tended toward a lack of interest in the traditional theological content of hymnology, or, indeed, Psalms. Ward goes on to point out that the more reflexive hymn has always been a part of worship. In its right place it offers a sense of urgency and significance to a worship service. He further cautions, though, that a steady diet or overuse of reflexive songs present serious issues. The most obvious is that reflexive song often substitutes gospel content for metaphors related to the intimacy of worship. Historically a case can be made that imbalance in our diet of worship songs that tips one direction is often followed by a period of imbalance in another direction. In either case the change does not usually occur overnight. As worship ministers we are responsible to consider how our worship is helping to form worshippers over their lifetime. Often it is those who are most in need of a balanced diet, who are in their growth spurts if you will, who become target of imbalance at their most vulnerable points. We must comprehend what is going into the mind and heart of our children and teenagers as developing worshipers/disciples, and not give in to the shortcut of product-marketing schemes that seek to simply adapt Christianized products to fit cultural norms. It seems imperative for us to know well that culture is never neutral and to serve as pastors to those we lead in Christian worship, giving prayerful consideration to how our congregation’s worship language is forming us into a Christlike people over weeks, months, years, and even our lifetime. Educated Baptist church musicians have some awareness of the life and ministry of Particular Baptist pastor, Benjamin Keach. 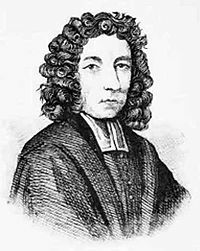 It was this Baptist pastor who is credited with introducing a polemic for hymn-singing around 1691, the time of the publishing of a hymnbook as well as his treatise, The Breach Repaired in God’s Worship: or Singing of Psalms, Hymns, and Spiritual Songs, proved to be an Holy Ordinance of Jesus Christ. This is just a small flavor of Keach’s insistence that seeks to not only justify, but to foster singing in Baptist worship. Of course, we all know the phrase, “and the rest is history.” And we all know something of the profound reformation within that history as Baptists have often been referenced as “a singing people” through our divisive history. Music as ministry programming and development reached its height perhaps in the 1970’s and 80’s with full seminary training available to ministers gifted in music, and with churches fielding multiple choirs for all age groups, instrumental programs, and staffing formative skill development structure for children from preschool age to adulthood. Revivalist ferver was oft ignited by hearty singing by congregations whether on the frontier backwoods, or in the city churches with a more sophisticated “high church” fair. Somewhere in the midst of all that development some congregations seemed to have lost their emphasis on the spirit of the singing and began to place more weight on the performance of the song. A metamorphous into a dry and sometimes lifeless practice in hymn-singing assured a path toward failing programs, and in many cases a misreading of the dynamics that had once fueled the fire of the song and singing in worship. Fast forward to today. The robust singing of Great Awakening revivals, periods of lay renewal, and/or even the campfire singing from youth retreats and other gatherings seem distant memories. In many cases a Baptist worship environment is characterized by a rock-style band led by a vocalist on microphone emanating enough decibels in theater-style sanctuaries that even if the people were singing those charged with leading would have little way of knowing. I am not championing scaling down of instrumentation in worship music, nor am I implying stylistic issues in this essay. I am, however, seeking to raise a caution flag since those charged with leading congregations in healthy worship singing must be able to tell whether or not the people they lead, “and every one of them,” are in fact singing. Better that we would seek to find the joyful sound of our congregation’s unified voice of worship than to emulate our favorite (or theirs for that matter) worship band or other church’s worship. I pray we will make concerted effort to overcome what appears to me a breach renewed through the unintentional consequences of losing focus on truly speaking to one another in psalms, hymns, and spiritual songs.